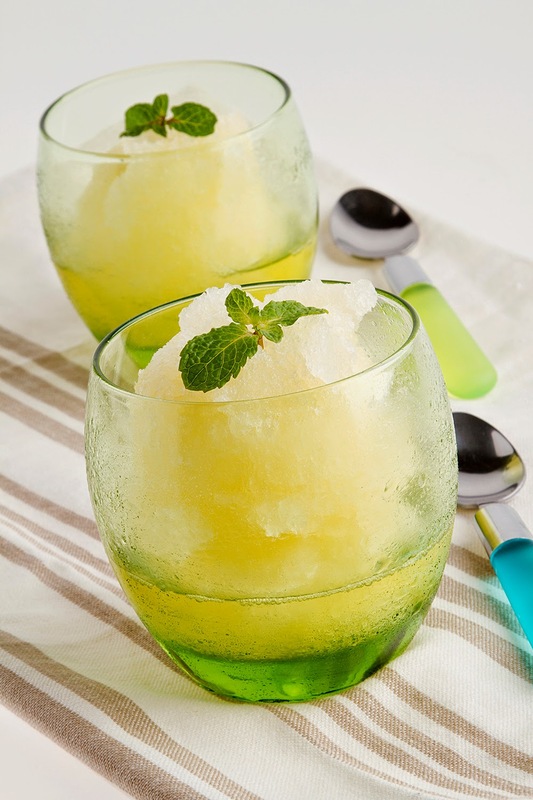 Summer spells h-o-t-n-e-s-s for most of us but The Maya Kitchen shared some recipes to cool us down. They've come up with exciting combinations for our local calamansi, cantaloupe, and a light and creamy butter cake that's a perfect pair for the summer coolers. For more recipes, culinary ideas, and culinary classes, log on to: The Maya Kitchen. Combine ½ cup of water and all the sugar in a medium saucepan. Add the kalamansi zest and mint leaves to the saucepan. Over medium heat, stir the ingredients frequently until the sugar is dissolved completely. Remove the syrup from the heat and strain into a bowl. Add the remaining water then chill the mixture. Add the kalamansi juice to the cooled syrup then pour into a shallow pan. Put the pan in freezer for 30 minutes. Scrape the edges towards the center using a fork once they begin to freeze. Check every 30 minutes then repeat the process of scraping until the entire mixture is frozen but is broken down into fine crystals. Use individual dishes for serving. NOTE: Basil may be used instead of mint leaves. Make 1 ½ cups cantaloupe balls by using a melon baller. Freeze. Make sugar syrup by dissolving sugar in water over medium heat. Cool and set this aside. Scoop out remaining melon meat and put in a blender to make a puree; add sugar syrup to sweeten. Add soda to the puree to make melon soda. Assemble by putting frozen melon balls in tall glasses. 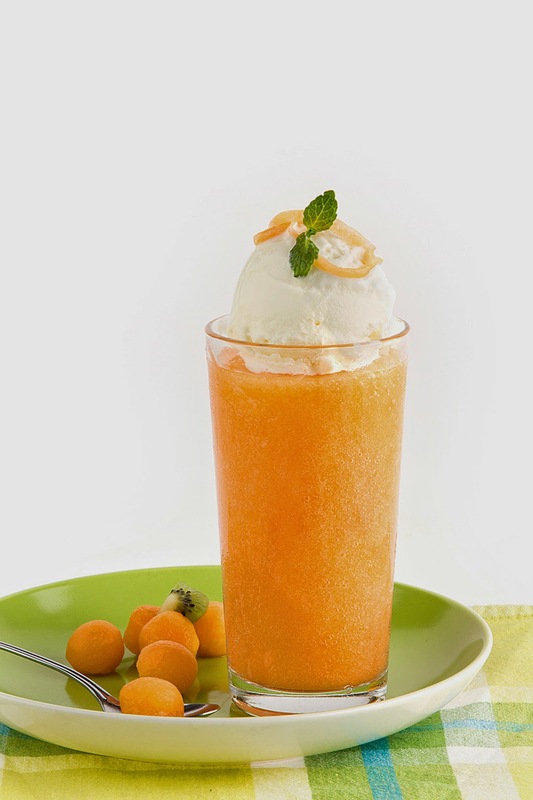 Pour in melon soda then top with ice cream. Serve cold with a straw. Makes 3-4 servings. Make butter cake by following package directions. Cool before cutting into 1-inch thick slices. Pan toast with butter until brown at the edges. 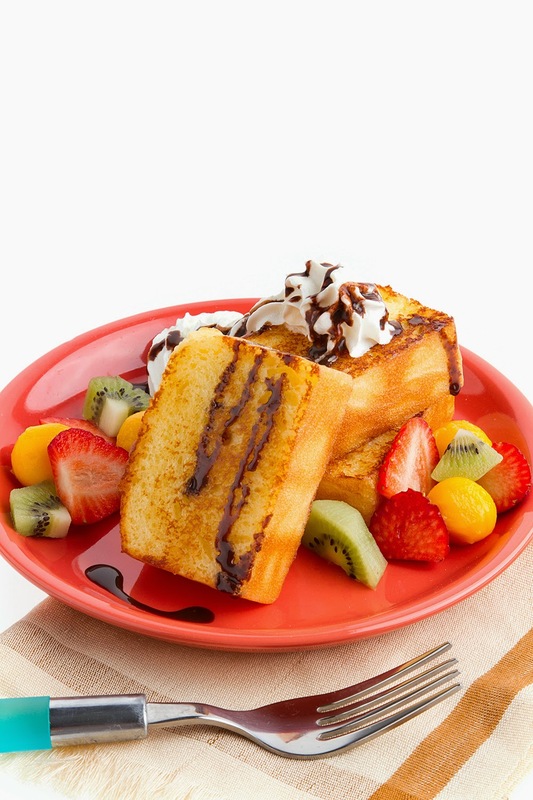 Serve with fresh fruits on the side then top with a scoop of vanilla ice cream or a dollop of whipped cream. Drizzle chocolate syrup on top. *** photos and recipes courtesy of The Maya Kitchen.